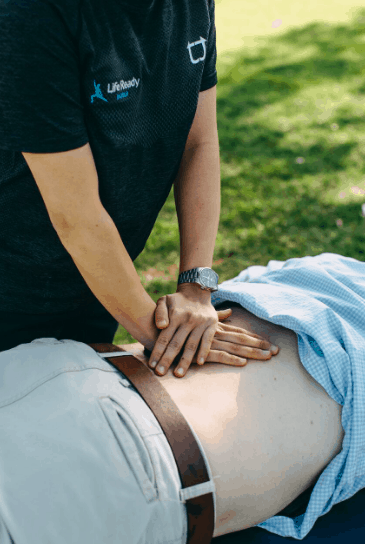 Lower back pain is a highly prevalent condition in Australian adults, with some studies suggesting that up to 80% of us will experience some degree of lower back pain at some point in our lives. It is also the most common and the most expensive source of compensated work related injury in modern industrialised countries. There are a number of factors that many people associate with causing lower back pain such as repetitive type work, heavy lifting, excessive exposure to vibration and awkward working positions (which may include prolonged sitting). These factors are generally very well-known and many people outside of the physiotherapy world will be aware of the potential risk with each one. However, the evidence for the relationship between these physical demands and musculoskeletal pain has often been weak or contradictory. It’s fair to say that work related physical load can only partially explain the high prevalence of the problem. Therefore we must begin to examine the role of psychological and social factors in determining the cause of, and best treatment for lower back pain. Several studies have outlined the potential of psychological factors to play a part in the development of lower back pain and these issues are rarely discussed outside the circles of researchers and clinicians, and the findings are often poorly disseminated. However a higher level of awareness in the general public may help to reduce the potentially painful effects of psychosocial issues. Certain studies have shown that increased psychological distress preceded the occurrence of lower back pain. This group showed a strong relationship between those who had increased amounts of life stress over a period of six months and the development of an episode of lower back pain. Numerous other studies have put forward evidence to suggest that there are several, not immediately obvious, psychological factors that can influence the development of pain and injury. These factors may come as a surprise to many, but in the modern day with our improving understanding of the role of mental health they are becoming more and more obvious. It is not beyond the realms of possibility to imagine a situation whereby you come under more time pressure at work, begin working longer hours, have disagreements with your boss, begin to lose the satisfaction in your work and over a period of a couple of months end up developing some stress related musculoskeletal pain. Understanding these emerging work-related risk factors for pain is important if the resultant suffering, activity limitations and loss of productivity for individuals are to be addressed. So how can you go about reducing the potential effect of stress on your pain levels? Exercising regularly can be a great way to keep both mind and body healthy. Taking some time out to focus on the techniques of the exercise that you are performing and being mindful about the way you are doing it can also double up as a distraction method to take your mind away from stressful life events. It may also be helpful simply to acknowledge the fact that you are going through a period of increased psychological distress and that at some point it may result in the development of some lower back pain, especially if you have a history of those types of symptoms. This can decrease some of the frustration felt if pain does develop and give some explanation as to the reasons why, if there is no immediately obvious physical triggers. Ultimately the best strategy is to be proactive about managing your life stresses. Try to openly discuss work related problems with your manager or supervisor (not always an easy thing to do) so that you may put in place changes that can prevent long term distress and reduce the likelihood of this progressing to musculoskeletal pain. Your GP, physiotherapist and other health professionals will always be on hand to give you more information on management strategies and in more serious cases to point you in the direction of qualified psychologists to assist further. So the next time you are discussing the cause of your lower back pain with your physiotherapist, try not to dismiss them straight away if they suggest that it might not be a purely physical injury. We’re here to help. Learn more or book an appointment with us and let’s get started on managing your pain. Low-Back Pain in Australian Adults: Prevalence and Associated Disability. Walker et al 2004. The Role of Physical and Psychological Factors in Occupational Low Back Pain: A Prospective Cohort Study. Feyera et al 2000. Low Back Pain Prevalence and Related Workplace Psychosocial Risk Factors: A Study Using Data From the 2010 National Health Interview Survey. Yang et al 2016.